TS ECET 2019 Notification - A Computer Based Common Entrance Test, designed as Telangana State Engineering Common Entrance Test for Diploma Holders and B.Sc. (Mathematics) Degree Holders [TS ECET (FDH & B.Sc. (Mathematics) 2019] of Telangana State will be conducted by JNTUH for Lateral Entry into B.E. /B.Tech. /B.Pharm. Courses offered for the academic year 2019-20 in the State of Telangana. The TS ECET-2019 test will be conducted in online mode only. A Common Entrance Test designated in full as Telangana State Engineering Common Entrance Test for Diploma Holders and for B.Sc. (Mathematics) Degree Holders and in shorts TS ECET [FDH & B.Sc. (Mathematics)] 2019 will be conducted by JNT University Hyderabad on behalf of the Telangana State Council of Higher Education for the academic year 2019-20. For Lateral admission through Common Entrance Test into 2nd year regular B.E. and B. Tech Courses in All India Council for Technical Education approved Unaided Private Professional institutions (Minority & non-Minority). 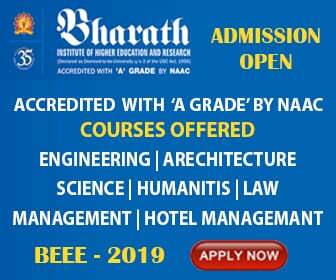 For admission through Common Entrance Test into 1st year Regular BE and B.Tech Courses in University Engineering Colleges for the seats specifically earmarked for Diploma holders and B.Sc. Degree holders. TS ECET [FDH & B.Sc. (Mathematics)] 2019 will be conducted at the following Regional Centres in Online mode only - Hyderabad, Warangal, Karimnagar, Andhra Pradesh, Khammam All branches of Engineering, B.Sc. (Mathematics) and Pharmacy. The Registration fee has to be paid at TS Online Centers in T.S., AP Online Centers in A.P. or through online using Credit card / Debit Card/Net Banking. The students can download the TSECET 2019 official notification PDF at the official website https://ecet.tsche.ac.in of the board. 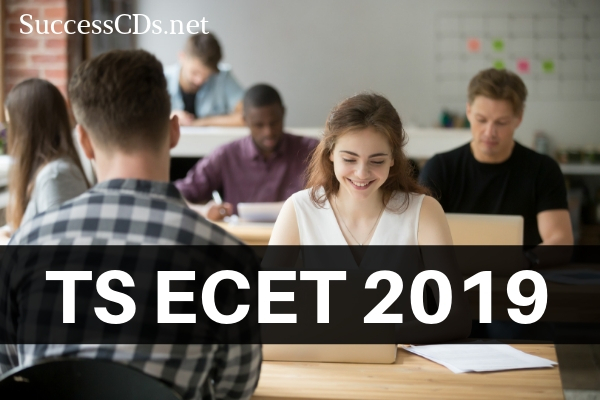 The students can also avail details at our website https://ecet.tsche.ac.in for other details regarding the TS ECET 2019 Notification Examination like Syllabus, Eligibility Criteria and Results etc. The soft copies of candidate specific Question Paper with responses of TS ECET [FDH & B.Sc. (Mathematics)]-2019 will be preserved for six months from the date of publication of results after which time they shall be disposed. In any litigation concerning TS ECET [FDH & B.Sc. (Mathematics)]-2019 the parties to be impleaded are Secretary, Telangana State Council of Higher Education, Hyderabad, Convener, TS ECET [FDH & B.Sc. (Mathematics)]-2019.